La Croisette – that’s the name of the promenade along the Côte d’Azur in Cannes along which the rich and the beautiful stroll in the Mediterranean sun. 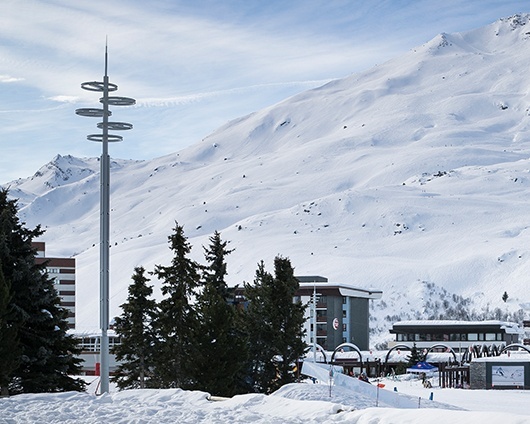 But La Croisette is also the name of the main square in the town of Les Ménuires in the French Alps. 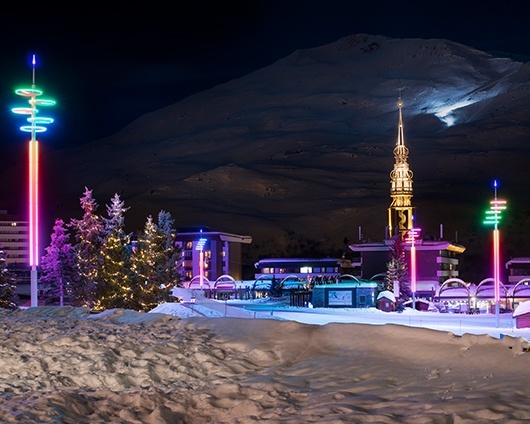 A square where during the winter, young and old alike stroll by, rewarding themselves after a day on the ski slopes, buying new ski equipment, or just meeting up. 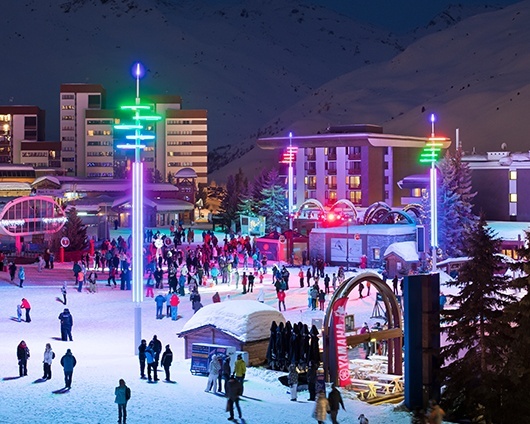 For the ski area that encompasses a total of three locations, the lighting designers from Lea – Les Éclairagistes Associés drew up a Plan Lumière. In 2017, this was supplemented by a lighting concept for La Croisette. Up until then, this was nothing more than a parking lot lined with artificial light sources which, when it got dark, radiated a cold, industrial ambience. Today, the square looks as if it has been transformed: festive, happy, filled with surprises. “We developed a colorful, dynamic scenography for this which emphasizes the liveliness of the square,” explains lighting designer Joseph Frey. The twenty-one R1 spotlights from ewo in the RGBW version were the perfect implementation of this concept and were delivered complete with junction boxes. 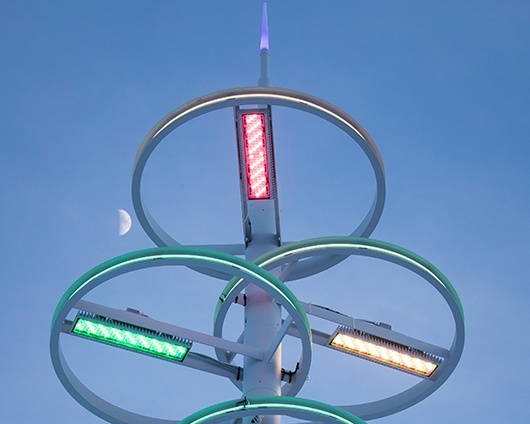 For this installation, the individual spotlights were rotated by 90° and 180° in order to carry out the lighting of the square that was intended in the lighting concept. To make uncomplicated control possible, the LED drivers were housed in external boxes.